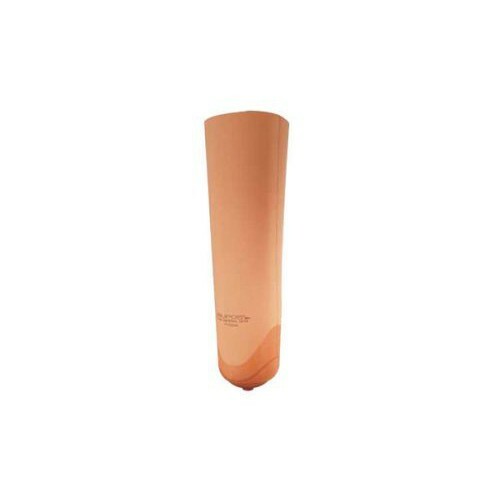 Silipos Low Activity Cushion Liner adds comfort and skin conditioning benefits to the amputated limb when wearing a prosthesis for individuals with a low to moderate activity level. The liner incorporates gel with medical grade mineral oil, aloe and vitamin E to cushion while protecting sensitive skin with scars and skin grafts. This Low Activity Gel Cushion Prosthetic Liner is washable and reusable and is offered in a variety of sizes based on the distal and proximal circumference. 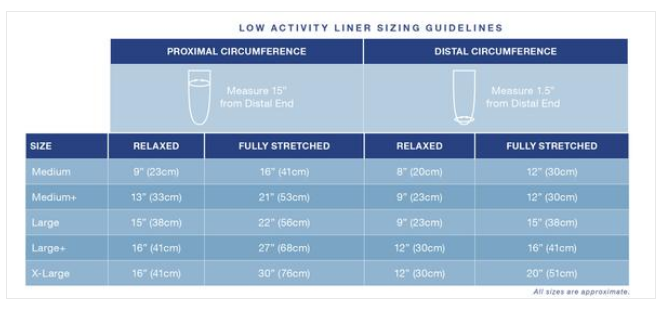 Use the size chart to find the liner size best for you. is available in 3, 6 or 9 mm thickness and comes in variety of sizes based on proximal and distal circumference. It's important to measure before selecting a size so that the liner properly conforms to the limb. Prosthetic Liners and Socks are designed to don and doff easily. Silipos uses hypoallergenic, latex-free material that's reusable and washable to add durability. Silipos also manufactures Pin Liners if the prosthetic uses a pin lock. These are available in pinned and cushioned options. Orders can be placed through our website or by calling customer service at 800-397-5899.